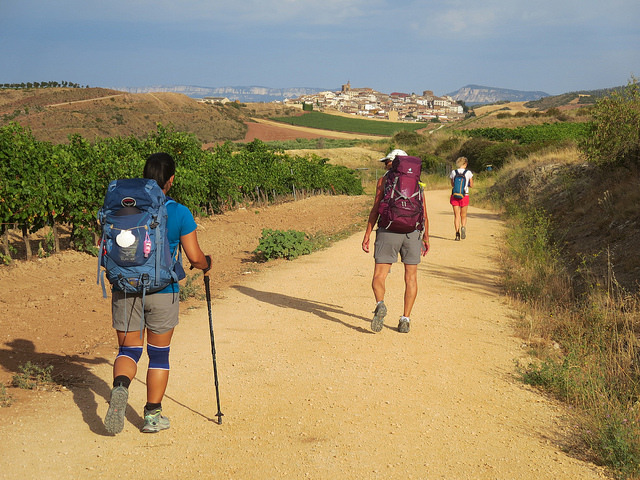 The town of Santo Domingo de la Calzada was bound to be one of my favorite stops on the Camino Frances, because I’m a sucker for a town with a good story, and Santo Domingo’s is a Camino classic. Hurt and angry, she put a silver cup into his bag and accused him of theft. The town believed her and hung the innocent boy. His parents, although they were sad, went on to Santiago, where they prayed for their son. On their return trip, they again stopped in Santo Domingo, this time to visit their son’s body. To their surprise, he was still alive, and still hanging from his rope. (At this point I always wonder how they didn’t notice that part before they left, but it’s best not to ask a lot of questions about these stories.) In some versions of the story, the boy spoke to them and told them that Saint James himself was keeping him alive. The parents rushed to the town’s sheriff and demanded that he release their son. We arrived in town in the early afternoon, and I willingly shelled out a few euros to witness firsthand the glass box, set high in the wall of the sanctuary itself, with two bored-looking birds pecking around. They’re rotated regularly, I’m told, from the coop supported by the local Confraternity albergue. The chickens were fun, and the museum of religious artifacts built into the original cloister is full of the icons and images that defined early Christianity. But the real surprise of Santo Domingo’s cathedral, and the part not to miss if you’re the adventurous type, is up an unmarked (at least when we were there) spiral staircase in the back of the grand space. We didn’t get in trouble, of course. The stairs lead to defensive corridors that surround the cathedral, when the thick walls of a town’s church protected more than just the souls of its parishioners, with narrow windows overlooking the street, and then all the way up to the roof. Santo Domingo’s old city spread around us, with the remnants of the old defensive walls now supporting a whole colony of storks. Eventually we crossed the square to the cathedral tower, which is oddly not connected to the actual cathedral. The sign said it’s because it had a habit of falling down. The stairs led all the way to the bells themselves, so we waited until the hour struck, and the giant brass bells swung and tried to deafen us all. And then we came down and snacked on cookies shaped like chickens, because tourism thrives on good stories as much as I do. I loved Santo Domingo 🙂 And its chickens. This made me laugh Beth! A friend/pilgrim and I were just reminiscing about this today. 🙂 My sister and I walked the Camino Frances in 2014. 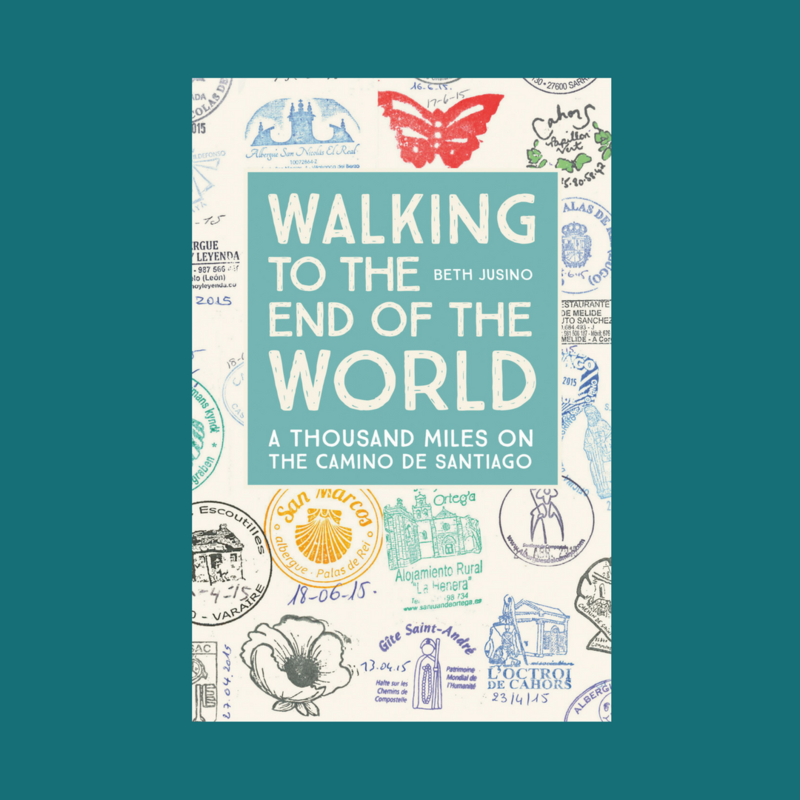 We’re working on an art project, NuestroCamino, about our journey and are looking to include stories from our fellow pilgrims. We’d love to have something from you! If you’re interested, you can find more details on http://www.heatherharrisart.com/nuestrocamino/#involve.